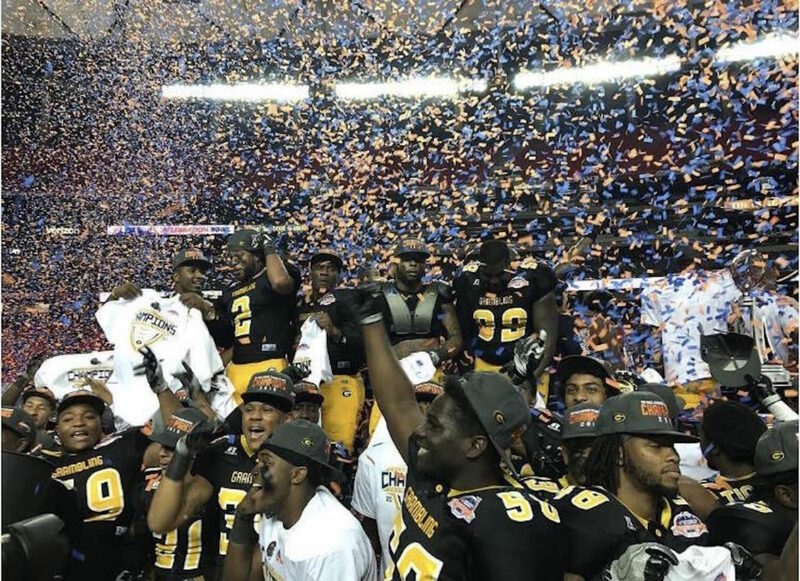 After a competitive first half resulting in no points, Grambling State found its spark and rallied to defeat North Carolina Central University in the Air Force Reserve Celebration Bowl 10-9. Grambling’s Martez Carter secured the lead for good in the second half, taking a handoff for a 32-yard touchdown to give the Tigers a 10-3 in the 3rd quarter. NCCU Quarterback Malcolm Bell made the game interesting leading the Eagles to a fourth quarter score, finding receiver Quentin Atkinson for a 39-yard touchdown. However, after excessive celebration penalized the Eagles PAT, the Tigers blocked the field goal attempt and sealed the win. From there, the G-Men never looked back. Carter finished with 12 carries for a total of 109 yards and touchdown. He was named the player of the game. During the 3rd quarter, Grambling wide receiver Verlan Hunter arguably made the catch of the year, with an Odell Beckham Jr. like one-handed catch. The play did not count due to a flag on the G-Men. Emotions and tension clouded the first half, resulting in several penalties and yards for both teams but no scores. The MEAC champions seem well prepared for the talented team from Louisiana, controlling the first half and taking the lead into halftime but in the end, it was all Grambling. The G-Men found their rhythm and controlled the tempo for the remainder of the game. Heading into the game, NCCU was viewed as the underdog and did not seem like it was a favorable matchup for the Eagles. The Tigers were the only NCAA FCS team to be ranked statistically in the top 5 in both total offense and defense. The Eagles defense dominated and surprised many by holding the dominant Tiger’s offense to 0 points. Coming into the second half, it seem as if NCCU had control of the game. 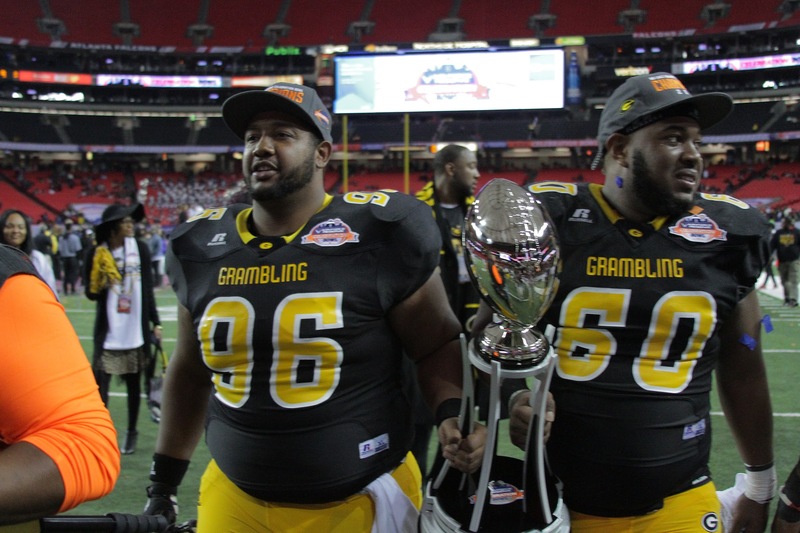 Some of the Eagles leaders were not inferior of Grambling success this year. 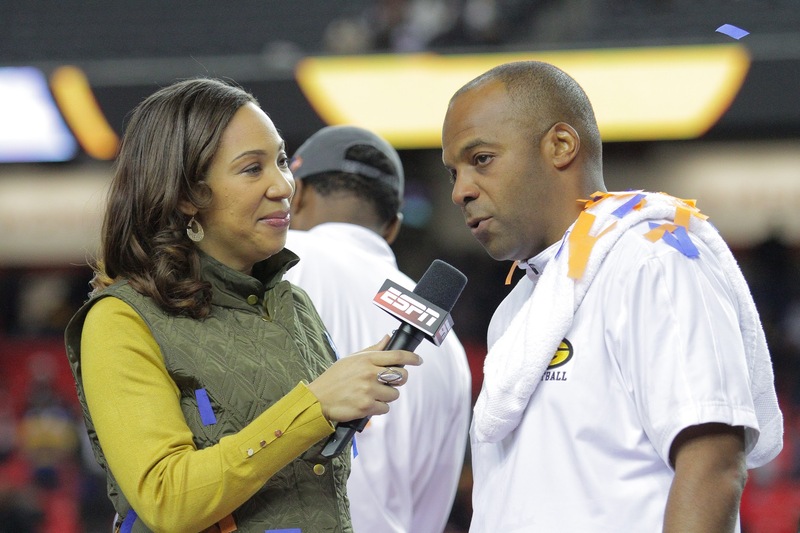 But Grambling second time adjustment, which was key, was the deciding factor of the game. Carter’s shifty runs sparked the Tiger’s offense in the second half to open the game. From there both defenses continued to help the other side of the ball until Bell’s touchdown strike late in the 4th quarter. Yet Atkinson’s helmet came off in the touchdown celebration, as the wide receiver sprinted up his own sideline. Out came an official’s penalty flag, costing North Carolina State 15 yards on the extra-point attempt — which was then blocked. 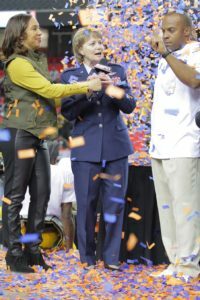 “Coach instilled in us the faith of God and with that, we played together as a family and got the job done together,” said Carter. 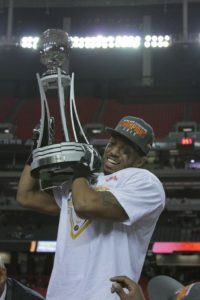 This is Grambling’s 15th HCBU Football National championship, most of any school.